St. Vitus Cathedral - the Hilltop sight packed with history - Absolute Tours Blog: Walking tours, Private & Specialty Tours and more! 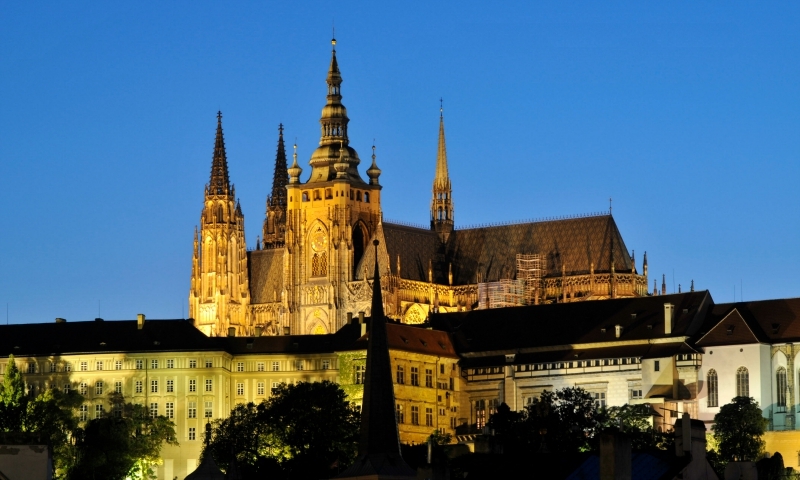 The Emperor loved by all Czechs – Charles IV, founded the Cathedral in 1344. 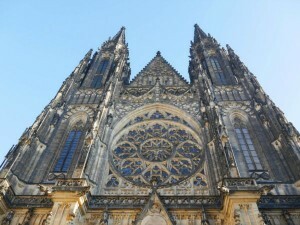 He wanted to turn Prague into the greatest city of Europe and a huge, representative cathedral was the first step. The first architect Charles IV was to invite to Prague was a Frenchman who’s name was Matthias of Arras. You can see his idea idea of a cathedral with polygonal chapels in the back part of the cathedral. However, he died just eight years after the construction started. It took four years to find an architect good enough to replace him. Petr Parléř – probably the most famous architect Charles IV could get, led the new company that came to Prague. 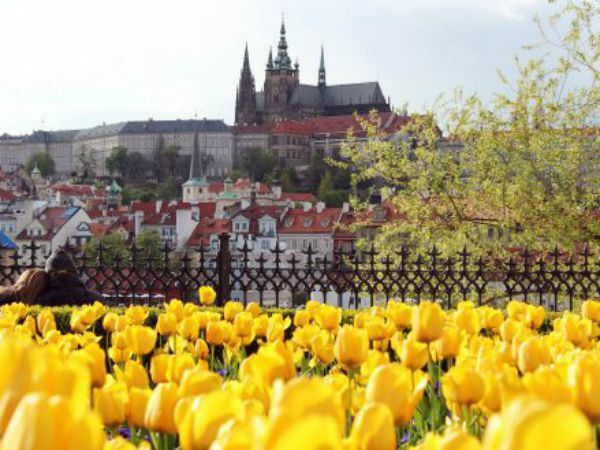 He and his son started working on this magnificent construction and many other buildings in the city center (such as Charles Bridge). It took 50 years to complete just the rear section of the cathedral. The construction was halted by Hussite wars and unfortunately, none of the new emperors wanted to continue. 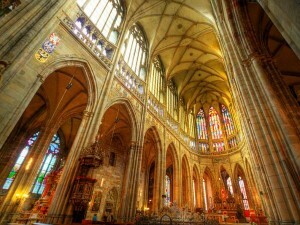 A couple centuries went by and the new wave of Czech nationalism of 19th century helped to fund the final part of St. Vitus Cathedral. It took over fifty years (1873-1929) to complete it. 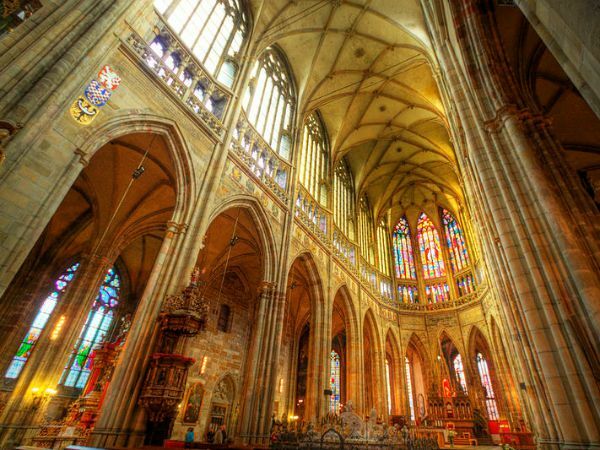 Nowadays St. Vitus Cathedral is a place, where you can soak up the enchanting atmosphere of medieval gothic architecture at its best. Open hours: Summer season/Winter season, Mon-Sat: 9am-4/5pm Sun: 12 noon -4/5 pm. Full list of opening hours and times of religious services here. Old Royal Palace, St. George’s basilica and the Golden Lane as well. Basic ticket costs 250 CZK adult / 125 CZK student with ID. Images thanks to UNCG, Sara at “A different piece of sky” Wikimedia Creative commons user Carmelo Bayarcal and Gastronomadic‘s the Nomadic Kitchen.